Bristol is a City of diversity and rich multi-cultural history. Amongst those that have influenced its development are members of the Muslim and Jewish communities. 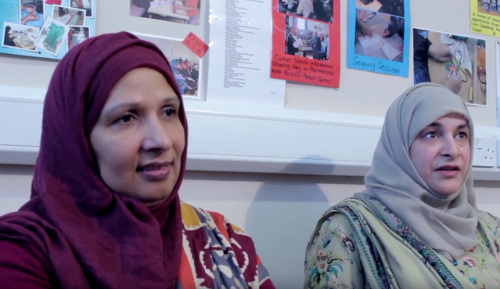 As a follow up to Salaam Shalom’s 2016 Shared Histories exhibition, the Heritage Lottery Fund gave us a grant to film interviews of people who have made a significant contribution to their community – and to the City – from the latter part of the twentieth century to the present day. The result, is a powerful collection of interviews with nine Muslim and four Jewish men and women. They describe their upbringing and development of a social conscience; recognition of what their community lacked; the community initiatives they founded, and how they see the future for their community and relationships between other Bristol communities. Achieving a long-term ambition, Salaam Shalom has now put on record their commitment, effort, energy and action – often unknown in event their own communities – to make sure their legacy is celebrated in years to come. All the interviews will be held at The Bristol Archives and a 15 minute highlights film is currently being shown as a continuous loop at the Museum of Bristol’s M Shed first floor gallery screen. The film will also feature at community-based events across Bristol, with some of the interviewees acting as panel members.